Townsend Leather is a Top/Best/Great Place to Work! 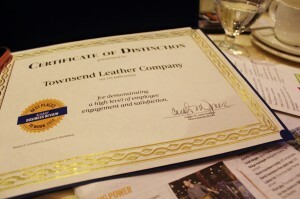 We are immensely proud and honored at the recognition Townsend Leather has received over the past 12 months. 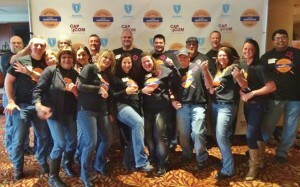 It is exciting to work at a place where everyone loves what they do, they are working toward goals bigger than themselves, and are doing it while working together. 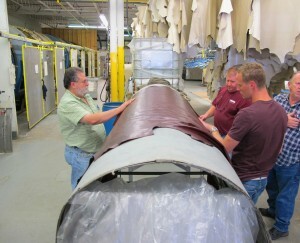 In the past 12 months, Townsend Leather has been recognized as having an engaged, happy, and effective team. 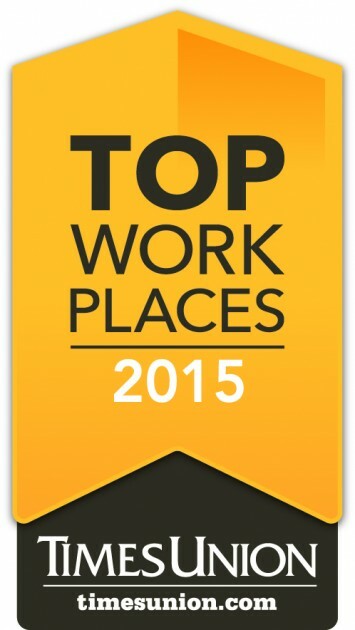 We have been acknowledged as a go-to place for quality employment and meaningful work, in the region. 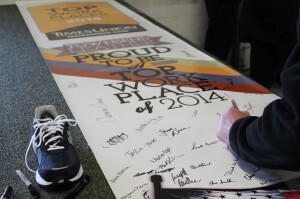 Townsend Leather, because of its people, their values and teamwork has been recognized as a TOP WORK PLACE of 2014 by the Times Union, a BEST PLACE TO WORK of 2014 by the Albany Business Review, lead by a 40 UNDER 40 Influential Leader (President Jared Eckler) by the Albany Business Review, and just recently announced a TOP WORK PLACE of 2015 by the Times Union! 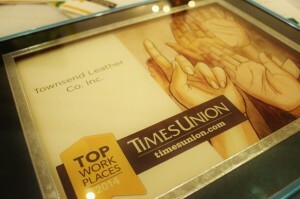 This year Townsend Leather placed 10th in the mid-sized business category for the Times Union Top Work Places recognition. That is a real accomplishment considering, over 700 total companies were looked at! 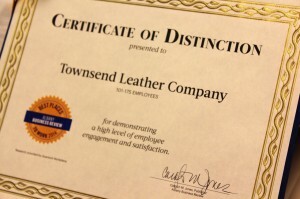 Townsend Leather also received special recognition as a part of our employee feedback. 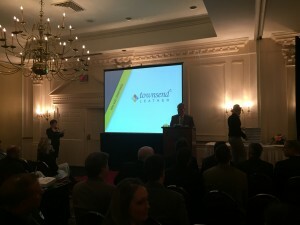 Townsend was awarded the “Clued in Senior-Management Team” award. This was in response to so many Townsend Partners expressing trust and high expectations in our senior leadership team. This award is a reflection of our people and our work environment and we feel so honored to have publicly known, what we all know and see here each day. 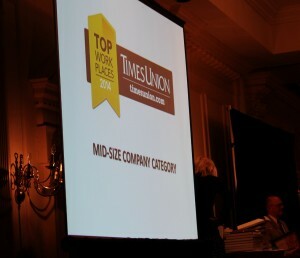 You can see mention of Townsend’s special recognition and some photos at the Times Union website, Top Workplace Awards 2015. 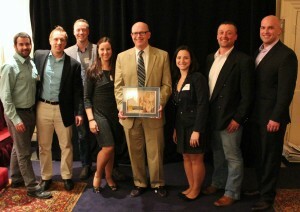 It is the Townsend Partners, the Townsend community, the Townsend family that make Townsend what it is. All the Partners at Townsend who come every day to share their skills and passions, push things forward, and do so with a smile on their face – this is what makes Townsend a great company and a great place to work. 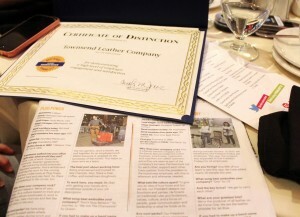 Townsend Leather was awarded these recognitions for and by its employees. And it is truly the employees that have earned them because they are the people that ensure a positive and fulfilling work atmosphere. 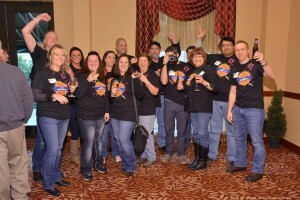 Townsend employees are some of the most passionate, hardest-working, and quality-driven people you will find anywhere. 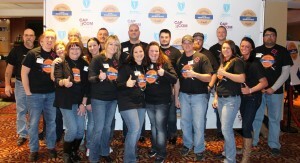 Their wholehearted and overwhelmingly positive responses to survey questions on subjects such as the company’s vision & mission, its leadership, its sense of teamwork and community, and benefits resulted in making Townsend Leather recognized as a Top Work Place and a Best Place to Work with 40 Under 40 Leadership. 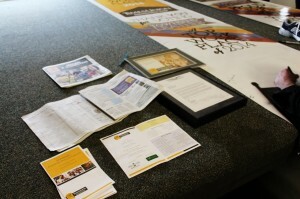 See below for some photos of each award. As well as links to each full post. 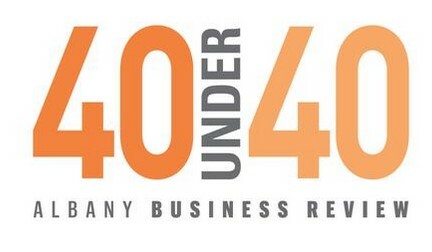 The 2015 Class of “40 Under 40” for Albany has been revealed, and Townsend Leather President, Jared Eckler is one of them! 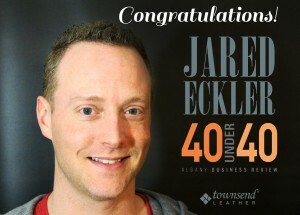 Townsend Leather’s own daring, caring, and leather loving President, Jared Eckler was nominated and chosen as one of the winners of this esteemed honor. 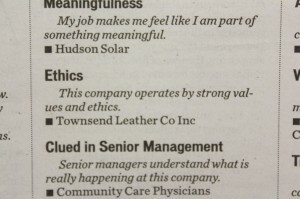 For the second time this year, Townsend Leather has been recognized for being a truly great place to work! 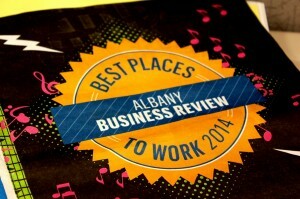 The Albany Business Review recently announced the 2014 Top 30 Best Places To Work in the Albany Area and Townsend Leather made the list! 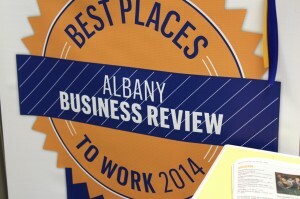 This honor is given to Townsend as a result of employee surveys sent out by the prestigious and tough-reviewing Albany Business Review. 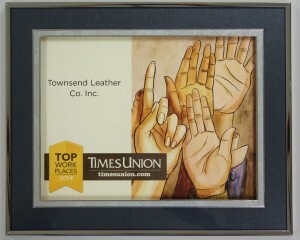 Because of the love shared and expressed by Townsend partners for Townsend Leather and their work here, we were chosen as one of the Top 30 workplaces in the entire greater Albany area. 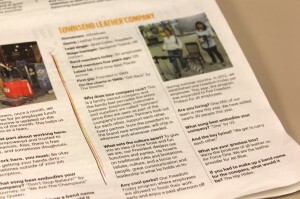 Partners expressed praise for Townsend Leather’s leadership, culture, benefits, and work environment among many other aspects of work life. Everyone here at Townsend has such a high level of trust and feels valued for their individual and team contributions. It is exciting that this love of Townsend, that everyone here knows and feels, will continue to be shared and spread throughout the community with this announcement. Townsend Leather is incredibly proud to be recognized as a Top Work Place for 2014! 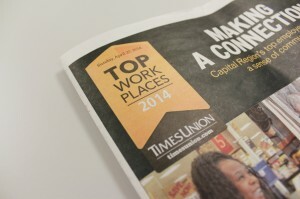 In late April of 2014, New York Capital Region’s premier news source, The Times Union, awarded 45 companies the honor of Top Work Place 2014. 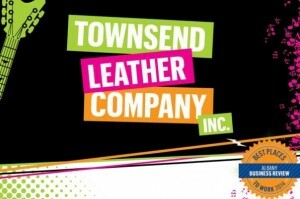 Townsend Leather is proud and honored to have been selected as one of them. 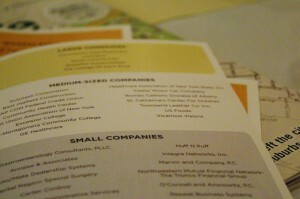 Each year the Times Union explores the large Greater Capital District for worthy companies. 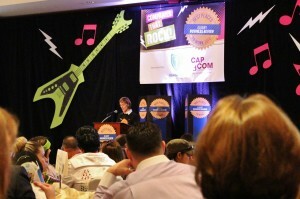 Over 600 companies were looked at as potential Top Work Place honorees. Through detailed analysis of thousands of employee submitted surveys, The Times Union and Workforce Dynamics narrowed down the top employers in the region to just 45 companies. 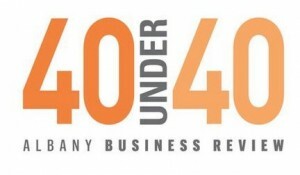 Each of these 45 companies, were categorized into three size categories: Large (500+ employees), Mid-Sized (150-499 employees), and Small (35-149 employees). 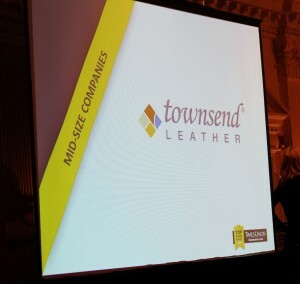 Townsend Leather was selected as one of the top 15 Mid-Size companies. 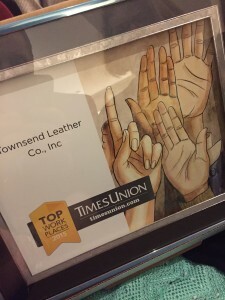 Townsend is excited to be awarded with something that all our many employees, customers, visitors, and fans have known for years – Townsend Leather is a truly great company!